Nerves can get the best of any bride or groom and this often leads to looking downward at the ground. 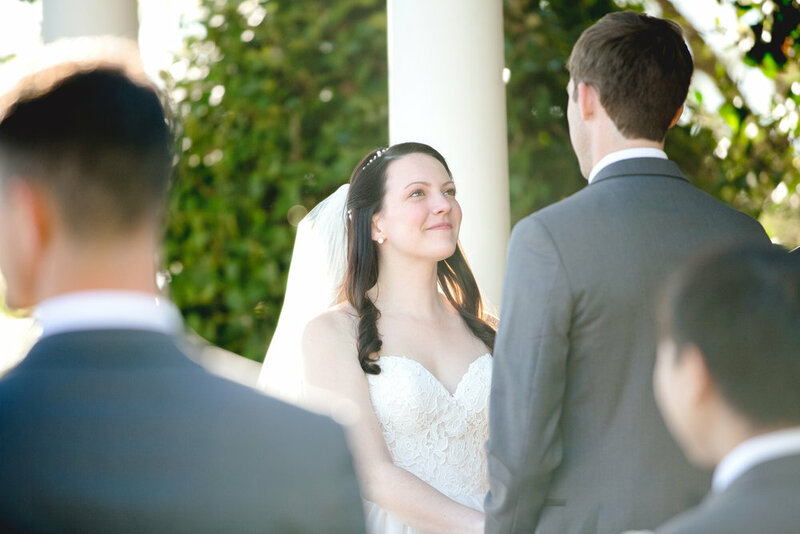 Remember to keep your head up while walking down the aisle and during your ceremony as much as possible so the photographer can capture flattering images of your entire face. 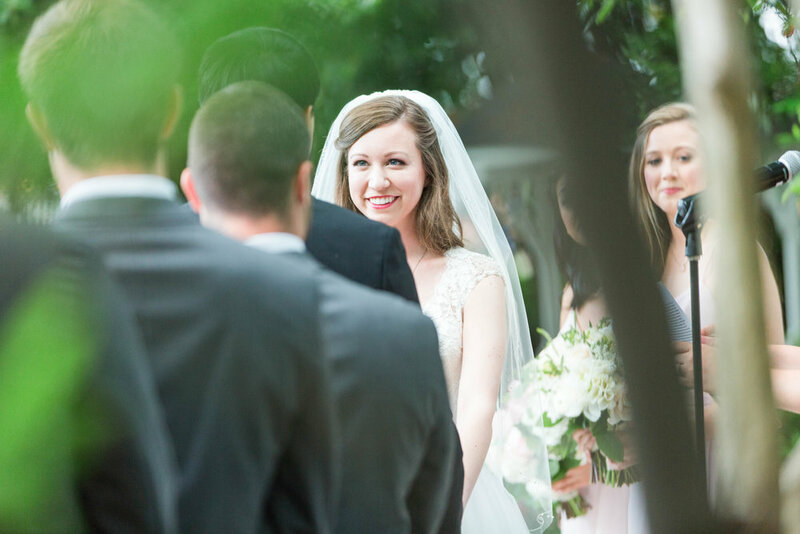 Extra tip: Remind your bridesmaids to look up and smile as they walk down the aisle, too! Or at least smile. Again, because nerves can take over many couples forget to even smile during their ceremony! It can be hard not to be self-conscious on your wedding day because you want everything to look and run perfectly. Don’t let the worry translate through to your images. Instead just be your best self, forget about how you are supposed to act and be true to who you really are. This will lead to beautiful photos that show genuine emotions and are more reflective of who you and your significant other are. When you walk down the aisle, be sure to hold your bouquet low, at your bellybutton level, for the most flattering pictures. Stay in the moment and trust that your photographer is doing their job to capture all the right moments. Don't worry about finding the camera or looking in the direction of it - instead focus on the person you are about to say “I Do” to. 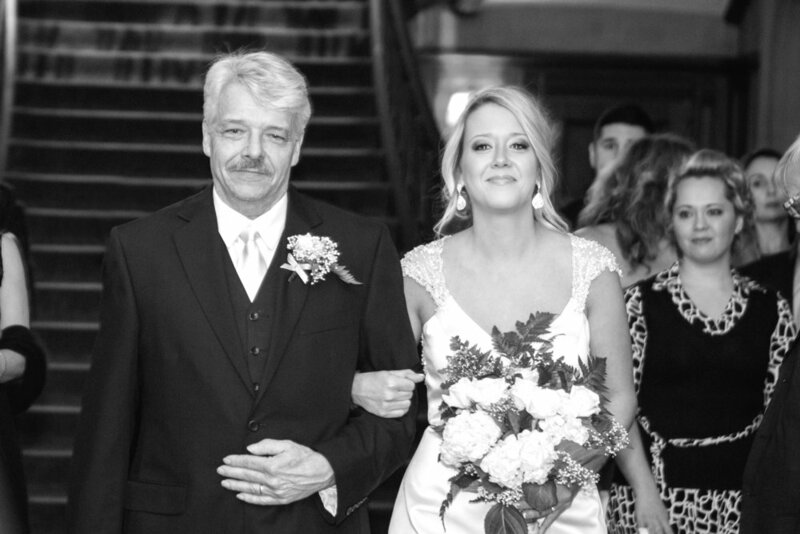 Remember to simply savor the moment and your photographer will capture the memories. Remember, not all ceremony venues allow for photography and some will restrict the photographer to the back of the venue. So check in advance if there will be any limitations your photographer may face and make sure they are aware so they can be prepared.